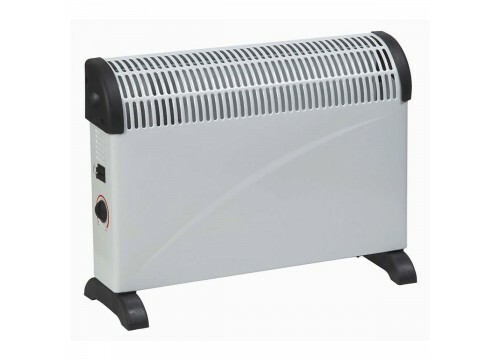 The Sahara Turbo Electric convector heater, provides instant heat to warm up rooms quickly and efficiently. It has three different heat settings, 750w, 1250w, and 2000w and an adjustable thermostat to make it easier for you to achieve your desired warmth. A Turbo Fan option gives you the ability to provide that extra boost to warm up your room quickly on those extra chilly days.